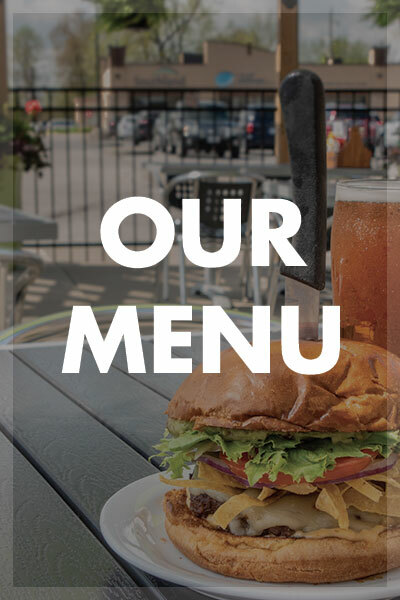 Joe Schmoe’s Eats N Drinks was started in June of 2007 with the goal of making the very best burgers, wings, sandwiches, & salads we could with fresh quality ingredients. 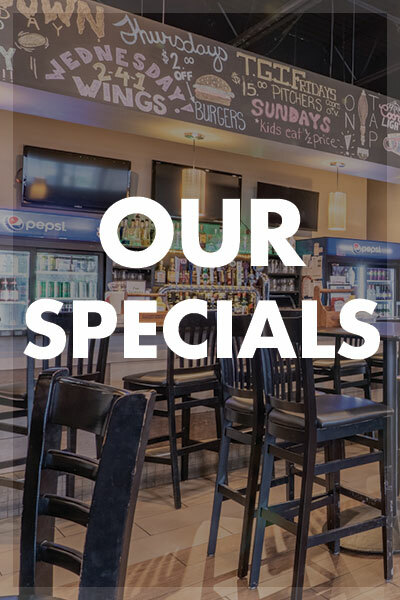 We also believe in giving our customers choices with over a dozen Big Mouth Burgers, Stacked Sandwiches, Signature Wing Sauces & Super Sized Salads we are sure to have something for you. Featuring 3 patties, bacon, peameal, house pulled pork, onion rings, deep fried pickles, grilled cheese, lettuce, pickle, tomato, extreme hot sauce, finish this and get your picture on the wall of fame and our online gallery! Don’t forget you need to eat your side of fries as well. This challenge burger is not available for takeout.